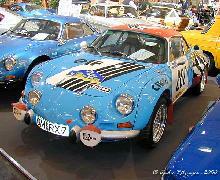 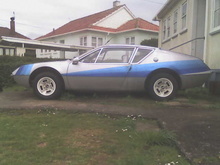 Alpine introduced the A310 coupé in 1971 and it became the company's main production car for the next 14 years. 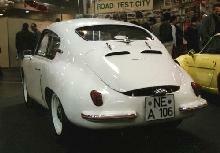 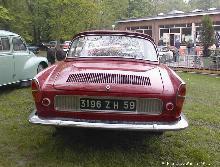 The A310 was a well-appointed 2+2 coupé which followed usual Alpine practice with a backbone chassis and a rear engine. 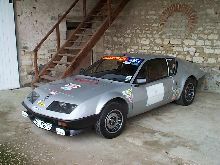 Power came from a 127bhp version of the 1605cc Renault R16 engine which drove through a modified Renault 5-speed transaxle. 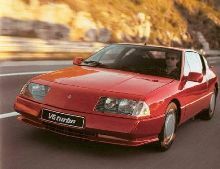 In late 1976, the 1.6-litre engine was replaed by the 150bhp 'PRV' (Peugeot/Renault/Volvo) V6 of 2664cc and this boosted top speed to 137mph (220km/h), 0-62mpg (0-100km/h) in 7.5 seconds. 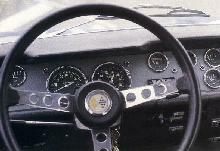 Disc brakes were fitted at the ear and production was increased.